Amahoro Tours Rwanda: www.amahoro-tours.com A locally-run,small sized tour operator in Musanze that offers homestays and cultural tours as well as gorillas. Bizidanny Tours & Safaris: www.bizidanny.com Relatively new Kigali based safari operator, gives clients the chance to customise their tours. 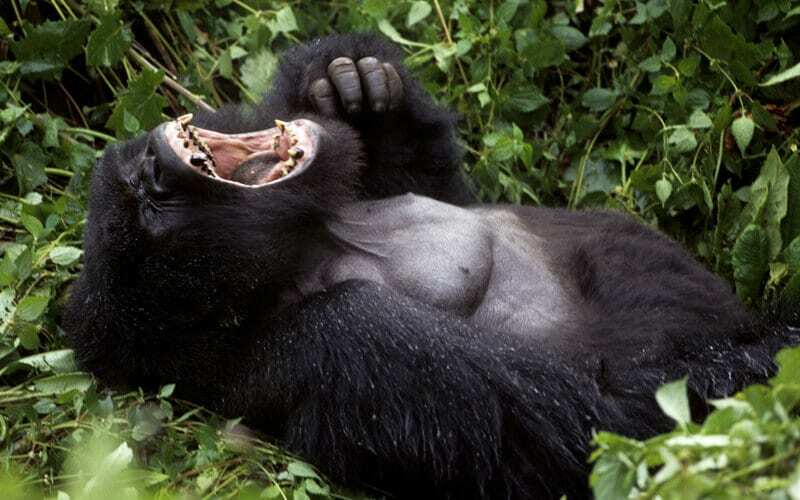 JK Safaris: Rwanda-wide Scandinavian run company offering tours and safaris, come highly recommended – and are also able to arrange permits only if you don’t want to book an entire gorilla tour. Volcano Safaris: www.volcanosafaris.com With a focus on top end, fly in safaris, Volcano Safaris own the ultra-exclusive Virunga Lodge – a spectacular base from which to visit the gorillas. Uzaze Travels: www.uzaze.com A UK based tour operator that organises Africa safaris and hiking adventures to East Africa. In Rwanda Uzaze Travels provides tailor made gorilla trekking tours to Rwanda’s Parc National des Volcans at competitive prices with bilingual tour guides, quality transport and affordable prices. Have a recommendation for a good safari tour operator in Rwanda? Let us know. View safari companies in other Africa countries or read our reviews of national parks across Rwanda.